Interesting read, especially for somebody a bit too young to have seen Whelan was in his prime. Worthy of his own thread maybe, where that article can be revisited and future discussions accommodated. Don't think there would be much discussion on Whelan - might group the players into a retired players thread? Last edited by tetsujin1979; 28/04/2017 at 1:53 PM. That'd be better alright, yeah. Read about the Souness story while ago, seemed a bit cringey. The Niall Quinn interview was great. I though McAteer on OTB the other night was brilliant. Thought the Souness story was good too hgow it was resolved in the end. Jay is a great one for regaling. Maybe that could be added to the Stutts test as a way to confirm their true allegiances? Interesting interview with Alan Maybury. He confirms that he never actually supported Rangers, but was verbally abused by bigots for wearing Rangers gear supplied to him by the club after going on trial. Maybury says the decision to pick Leeds over a Rangers side that went on to dominate Scottish football in the 1990s was purely motivated by footballing reasons, but he acknowledges a move to Ibrox would have brought undue scrutiny and increased attention on his burgeoning career after already sampling the negative reaction on his return to Dublin. “Going home, Rangers gave me a bag full of kit. I had no issue wearing it back in Dublin and having it on going to training. “In my last season before going to England, I was with St Kevin’s and you used to just wear your own kit going to training. I may have been going to training in a Rangers jumper or whatever and some people didn’t like that. “It certainly wasn’t inside the club because these schoolboy teams want their players to do well, regardless of where they go, but people on the outside would give you abuse or say you’re a disgrace. “I’m quite thick-skinned, it didn’t really bother me. You can’t please everyone. How Eoin Hand got the Ireland job at the expense of Paddy Mulligan. One for the GUBU file. The story according to Paddy Mulligan, the "ace" manager who didn't get the plum Irish job. What did he achieve instead? 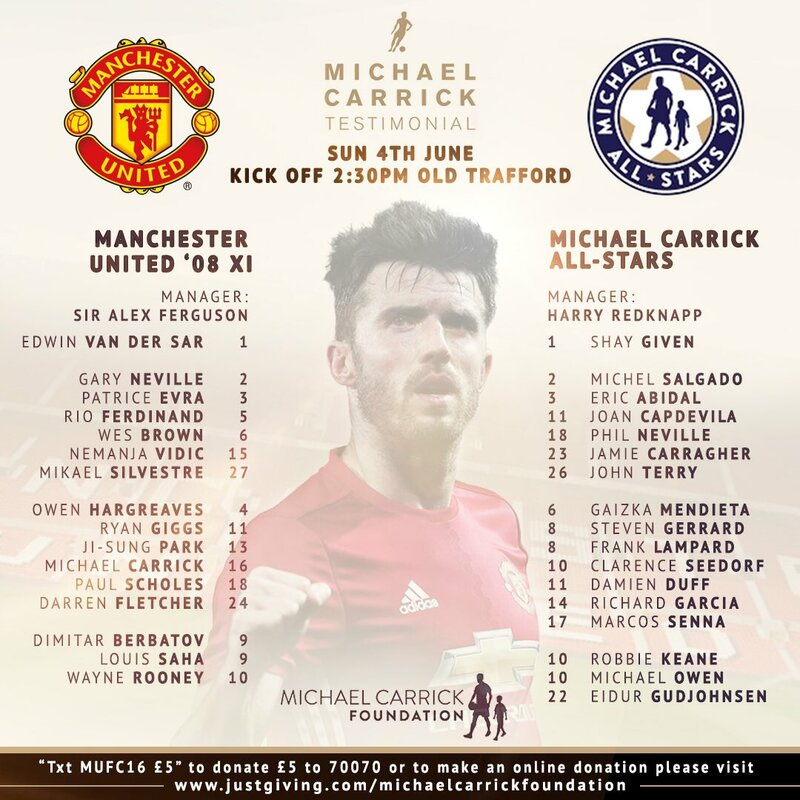 Given, Duff & Robbie Keane all in the All-Stars squad for Michael Carrick's testimonial on Sunday (Live on ITV & MUTV @ 14:30). I got a measly 8/11. (Should have been ten really, totally hadn't heard of one though). For the life of me I couldn't think of one of their names and for another I had the wrong first name (possibly getting mixed up with a Tipperary hurler!). Sure ya only needed surnames ya gowl, 11/11.